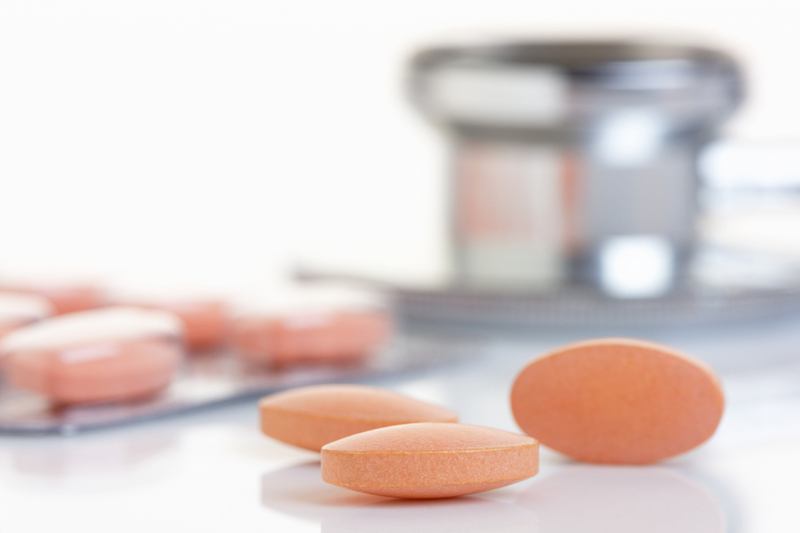 Statins are a category of drugs that are used to lower cholesterol in the body. These medications are known to be effective and can reduce a person’s risk of suffering a heart attack, stroke, or death from heart disease by a relative 25-35% depending on which study is being consulted. However, like all medicine, statin drugs have side effects. Since the known side effects of statins can be felt much more acutely than the effects of cholesterol (and in some cases can be crippling), it is natural to wonder if it is worth taking these drugs and suffering under potential complications. The most common complaint among patients taking statins is pain, soreness, or weakness in the muscles. The severity of this symptom has ranged from mild discomfort to severe enough to interfere with daily living. The exact rate of this side effect is somewhat hard to pin down, with some reports placing it at about 10-25% of patients reporting the problem. There is an odd conflict with regards to muscle pain and statins. On the one hand, you have the above statistic. On the other, most randomized clinical trials of statins show no difference between the rates of muscular side effects when comparing statins and placebos. Some patients who report muscle pain from statins do find relief when switching to a lower dose, different type of statin, or discontinuing the medicine completely, but it is unknown if this is due to the statin itself, a placebo effect, or based on the difference in ingredients between brands. This is a rare but serious side effect that happens at a rate of around 1 in 100,000 patients. Rhabdomyolysis is the destruction of muscle tissue and can result in severe weakness, intense muscle pain, and inflammation. As the damage muscle releases proteins, the kidneys can become overwhelmed trying to process so much, making kidney failure a very real threat. This side effect happens at a rate of around 2-3 in every 100,000 patients. Statin-associated autoimmune myopathy is a type of chronic muscle pain that persists even after the drugs are discontinued. It is known that statins can raise blood glucose enough in some patients to increase the risk of developing type 2 diabetes. However, the general consensus is that the benefits of statins outweigh this risk. One review in particular combed through 13 studies with a total of 91,140 patients and found that, for every 255 patients treated with statins for 4 years, one extra case of diabetes was diagnosed but 5.4 cardiovascular events were prevented. The impact of statins on a person’s likelihood of developing diabetes is also much smaller compared to other risk factors like weight, pre-statin blood sugar levels, age, etc. Statins work by blocking certain liver enzymes that lead to the accumulation of cholesterol. Rarely, they can also raise the level of inflammation signals in the liver as well. Symptoms of moderate or severe liver inflammation can include loss of appetite, upper abdominal pain, dark urine, fatigue/weakness, or yellowing of the skin and eyes (jaundice). The label on most statins will mention possible side effects like memory loss, confusion, or dizziness, but the actual evidence for this is muddled at best when compared to the other side effects listed above. Statins are one of the medications that grapefruit is known to screw with. Specifically, grapefruit juice contains a chemical that affects how well the statin is metabolized and absorbed by the body. If you love grapefruit, you should talk to your doctor about how much can be considered safe. Coenzyme Q10 supplements are thought to help reduce the side effects of statins but these need more research to determine if they are of any actual benefit. Beyond this, there are certain measures that can be taken. If you are experiencing side effects, trying a lower dose of your current statin, or a different statin entirely, may be a way to find relief. Alternatively, you could try maintaining the same dosage but adding intervals (one day taking, one day abstaining, etc.). It is important to only make these sorts of changes with your doctor’s consent. The muscle pain from statins is thought to be related to interference with enzymes that promote muscle growth. This makes you more vulnerable to muscle injury, especially if you engage in any vigorous exertion that your body isn’t used to. If you plan on changing your exercise routine (or starting one from scratch), do so gradually to give yourself time to adjust. Statins are not the only drug that can reduce cholesterol, just the one that is known to work best on its own. Consequently, one option may be to trade out your statin for a combination of other cholesterol-lowering drugs in an attempt to derive a comparable level of benefit without the same side effect risks. Although this guide is an attempt to offer insight on the side effects of statins and advice for mitigating them, it is extremely important that you speak with your doctor about the risks and benefits of using these drugs. Statins work, but do so on a sort of sliding scale—the worse your cholesterol, the more you are helped. Consequently, some patients could be getting minimal to no benefit in exchange for the risk of side effects, but it isn’t always easy to tell which patients these are. Your doctor will be most familiar with your individual medical situation and know best how to compare it to the information and research available. It bears repeating that you should never discontinue or skip a medication without talking to your doctor first. Shah, R., et. al., “Statins and Risk of New-Onset Diabetes Mellitus,” Circulation, 2012; http://dx.doi.org/10.1161/CIRCULATIONAHA.112.122135. Hall, H., “Statin Side Effects,” Science-Based Medicine web site, March 8, 2016; https://www.sciencebasedmedicine.org/statin-side-effects/, last accessed October 26, 2016. “Statin side effects: Weight the benefits and risks,” Mayo Clinic web site, April 26, 2016; http://www.mayoclinic.org/diseases-conditions/high-blood-cholesterol/in-depth/statin-side-effects/art-20046013?pg=1, last accessed October 26, 2016. “Statin side effects: Weight the benefits and risks – What causes statin side effects?” Mayo Clinic web site, April 26, 2016; http://www.mayoclinic.org/diseases-conditions/high-blood-cholesterol/in-depth/statin-side-effects/art-20046013?pg=2, last accessed October 26, 2016.